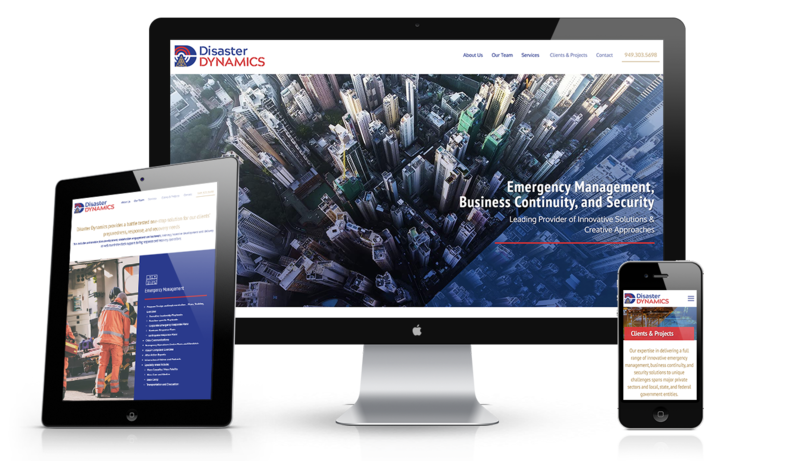 We had the pleasure of designing and launching this website for the talented team from Disaster Dynamics — a global company that specializes in designing and implementing disaster preparedness plans, as well as helping handle and coordinate response and recovery efforts that their clients may need during a disaster. It is easy to read and navigate through while being sleek, stylish, and bold. Timeless is the term that comes to mind when you look at this website. 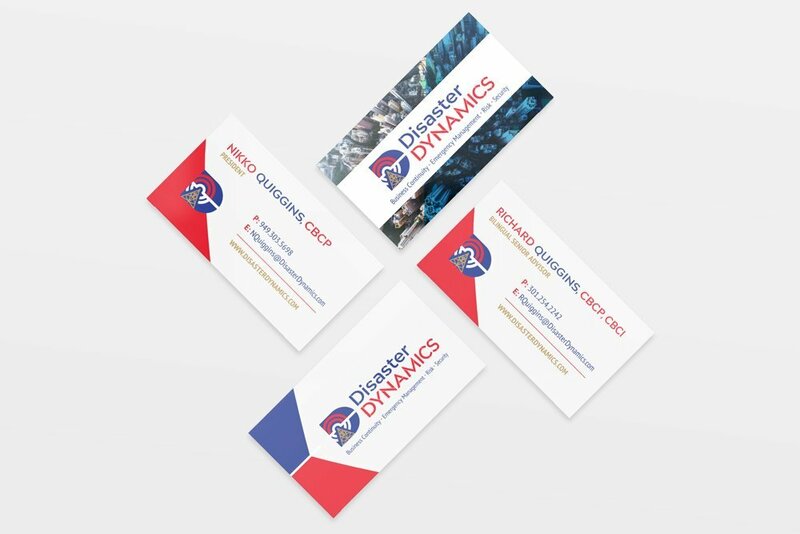 We also designed their logo and business cards for them. 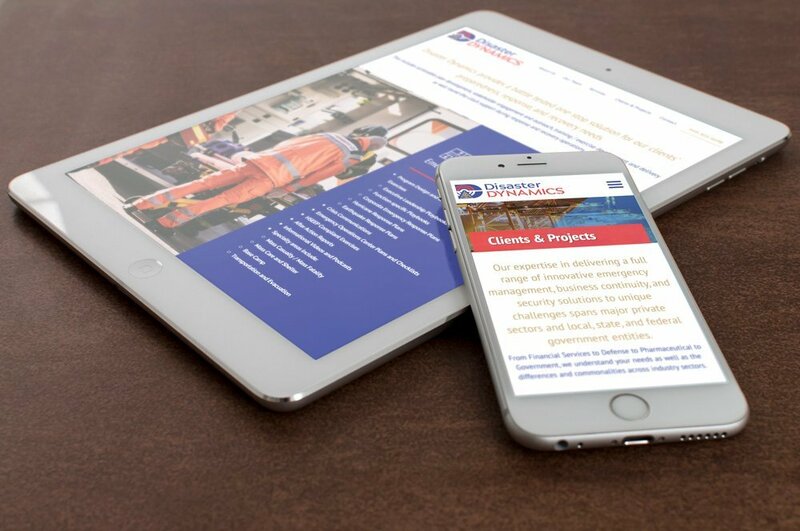 To keep continuity throughout all 3 marketing pieces, we used the colors from the logo as accent marks, icons and overlays on images throughout the website, as well as the business card. Doing this really solidifies their brand as a company and sets a standard for their branding guidelines for future marketing pieces. 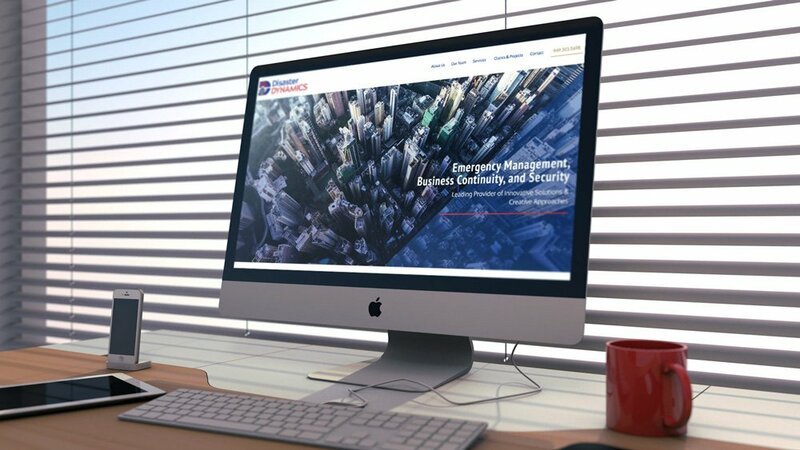 Click the button below to see how using different elements from company’s brand on a website ties all of the marketing pieces together nicely. © 2019 (a)squaredstudio, llc. all rights reserved.